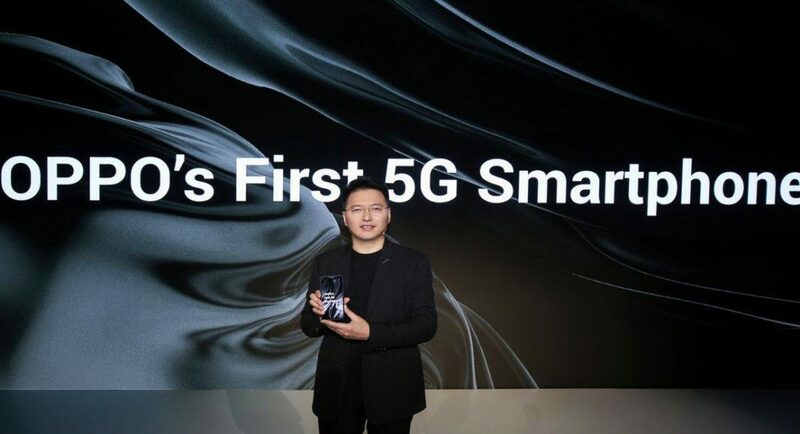 Oppo’s first 5G smartphone has received the 5G CE certificate, marking the company’s official foray in the new connectivity. The company announced that its first 5G smartphone has successfully passed the 5G CE tests conducted by the Sporton International Inc, the global inspection services authority which checks and certifies networks and devices. After passing the test, the Oppo 5G device was awarded the 5G CE certificate by CTC advanced GmbH. MWC 2019 which was held last month in Barcelona, Spain saw the launch of a number of new devices and technologies. 5G and foldable smartphones were a rage at the tech show and Oppo was also among the companies that showcased its first 5G device at the MWC 2019. But Oppo’s 5G smartphone is different than other 5G devices, as it holds first multi-frequency, multi-mode, and multi-EN-DC combination. It became the company’s first 5G smartphone to be approved by the CTC. Oppo’s 5G device holds the advantage of the n78 band which includes more band combinations and wider bandwidth. It also can be applied across a broader range of countries and areas/regions. With this, Oppo’s 5G smartphone became the first commercial 5G smartphone in Europe as Oppo’s CE certification verifies that the company’s 5G smartphone meets the requirements set by the EU to enter the European smartphone market. The EU looks for areas such as wireless, electromagnetic compatibility, health and safety before giving any device or network a green signal. Recently, the Chinese smartphone maker had launched its ‘5G Landing Project’ for which it partnered with several telecom operator partners to accelerate the commercialization of 5G products and services at a worldwide scale. And now that the company had received its 5G CE certification it plans to bring a 5G ready smartphone in the markets soon as OPPO has plans to bring its first 5G ready smartphone to market before June 2019. For the latest gadget and tech news, and gadget reviews, follow us on Twitter, Facebookand Instagram. For newest tech & gadget videos subscribe to our YouTube Channel. You can also stay up to date using the Gadget Bridge Android App.